Alanna Geary is the Executive Director of Nursing Metro North. Alanna commenced work at the Royal Brisbane Hospital in 1984 after completing her General Nurse Training in Gympie the same year. In 1987, she commenced her Midwifery Training at what was then the Royal Women’s Hospital, returning to RBH in 1988. 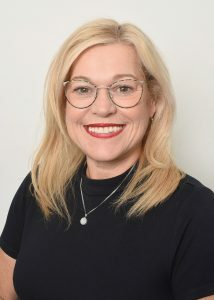 Prior to being appointed to the Executive Director position in March 2015, Alanna was the Nursing Director in Cancer Care Services at RBWH, a position she held for just over 10 years which evolved into her being appointed as the Cancer Care Services Directorate Stream Lead for Nursing.